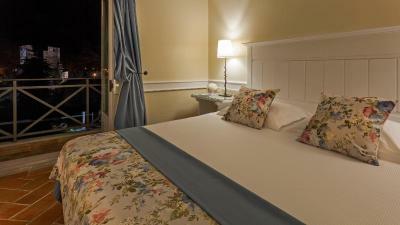 Lock in a great price for M'AR De AR Muralhas – rated 8.9 by recent guests! 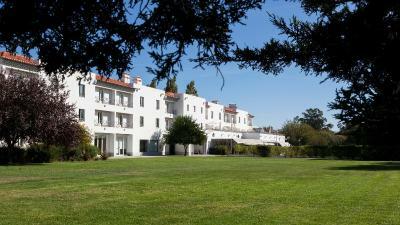 Beautiful hotel, the staff were very helpful, and the breakfast was excellent. Quiet. Friendly staff. Everyone eager to please. Friendly kittie on the bench outside. Very pretty hotel, staff was helpful, lovely view. The view of Evora wall is amazing. Very nice outdoor area. 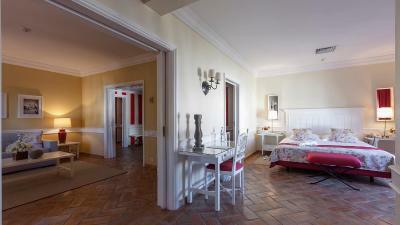 The property instantly appeals a mix of modern design with plush furniture and antiquities. The pool area is stunning with big comfortable sun beds. It’s a short stroll to the city square and the parking at the hotel is a real bonus. Breakfast was great with a big selection. 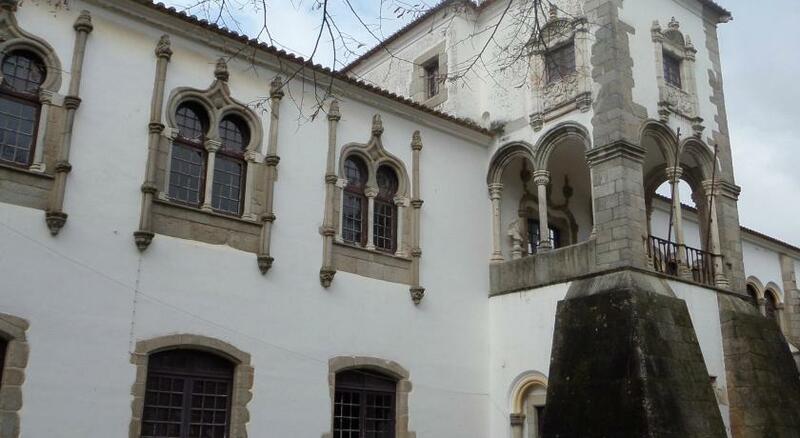 Location is wonderful right in Évora city centre. A beautiful view to the fortification of the city. Decoration simple but very well done with country objects. Very helpfull and very nice staff. 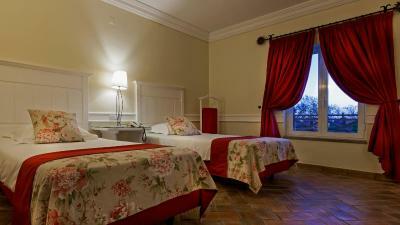 Hotel is uniquely situated within the historic city walls of Evora. The grounds , terrace and pool area are beautiful and very relaxing. Proximity to central tourist area. We loved the thing we saw. Practically everything. Location, service, quietness xz etc. M'AR De AR Muralhas This rating is a reflection of how the property compares to the industry standard when it comes to price, facilities and services available. It's based on a self-evaluation by the property. Use this rating to help choose your stay! 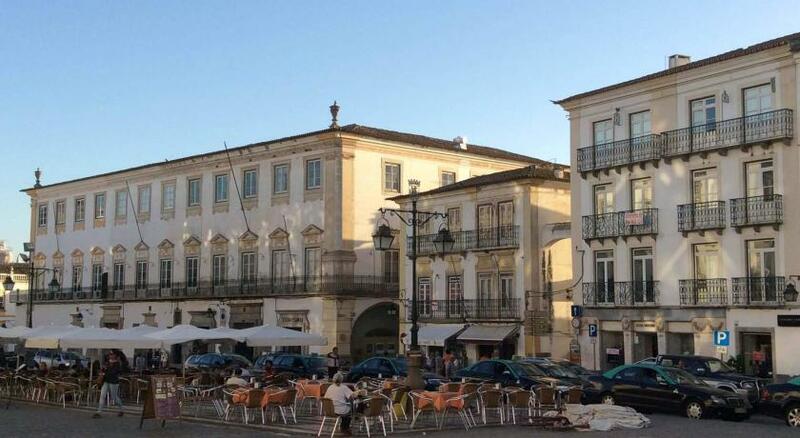 The 4-star hotel in Évora’s historic center is just a 5-minute walk from Giraldo Square. It offers a spacious outdoor terrace with sun loungers and a pool in the garden. 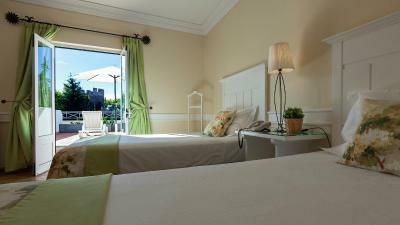 Rooms at M’AR De AR Muralhas are bright and elegant and include a spacious seating area with an LCD TV. Each room also has a CD player, DVD player and free bathroom amenities. Some rooms have a balcony. 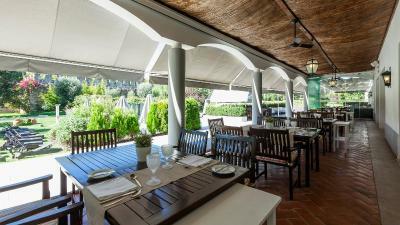 Restaurant Sabores do Alentejo serves traditional Portuguese cuisine as well as international meals. Room service provides in-room breakfast upon request. 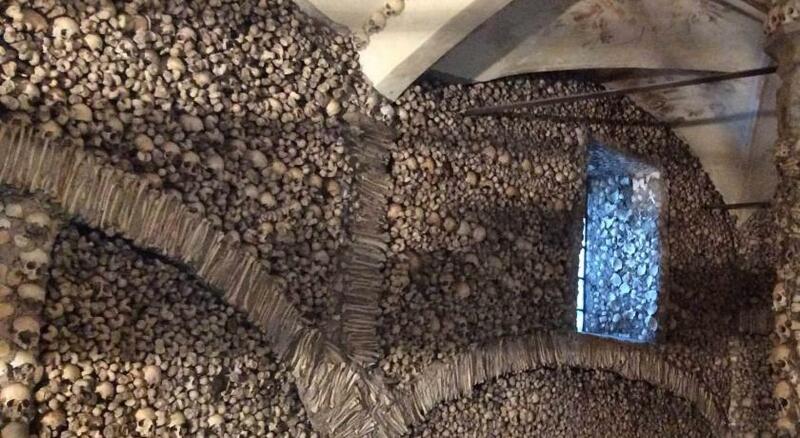 When would you like to stay at M'AR De AR Muralhas? 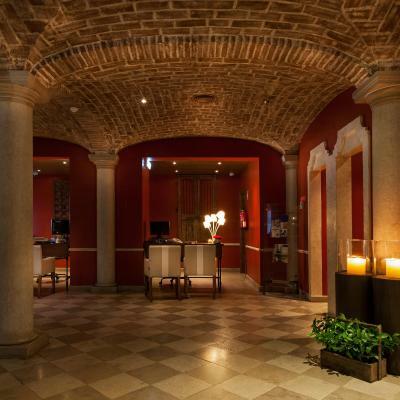 These classically decorated rooms have air conditioning, a flat-screen TV, and a minibar. 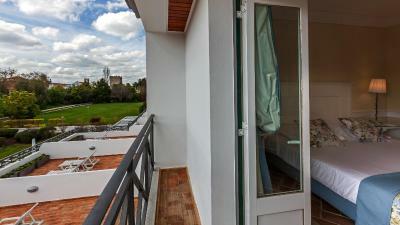 Some units have views of the city walls and the hotel grounds, other have views of the city. 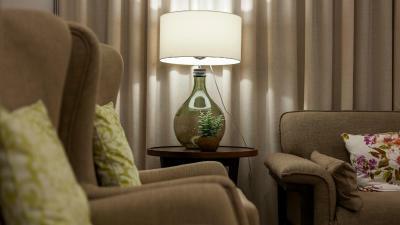 These classically decorated suites have air conditioning, a flat-screen TV, and a minibar. 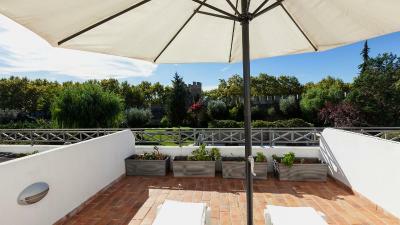 Some units have a terrace overlooking the city walls and the hotel grounds, while other have a porch with views of the city. This elegantly decorated room features a balcony and has a flat-screen TV and a minibar. 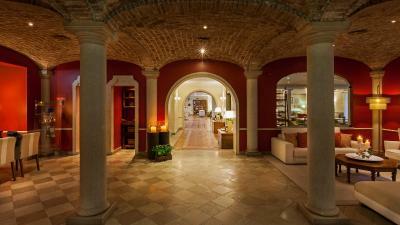 - Tour to the city center with "visitÉvora By M'AR DE AR". House Rules M'AR De AR Muralhas takes special requests – add in the next step! M&#39;AR De AR Muralhas accepts these cards and reserves the right to temporarily hold an amount prior to arrival. M'AR De AR Muralhas accepts these cards and reserves the right to temporarily hold an amount prior to arrival. Parking has a cost of € 5 - upon availability. The hotel did not respond to messages sent through booking.com at all or in a reasonable time (24h). Loved the breakfast buffet and the hotel restaurant can be recommended too. Parking is an extra cost (5€ per day). 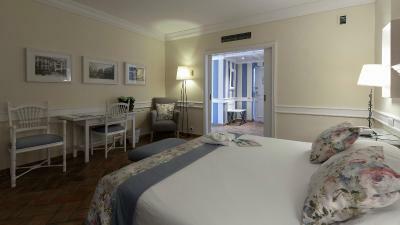 Great location, comfortable beds, spacious suite! Location was great, close to city walls, could walk to main piazza in a few minutes but could also park for free just the other side of the walls Liked having a bath tub in bathroom - plenty of hot water. Spacious light, attractive rooms. Great view of town from upstairs corridor. Lovely big garden and view of city walls at back. There was nothing we disliked in this hotel. Next time I come to Evora, I'll stay there again. 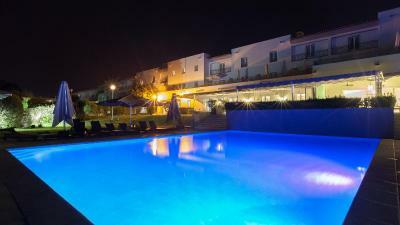 Very elegant hotel, generously large rooms, very good and friendly personnel and service, beautiful garden with pool next to the city walls. 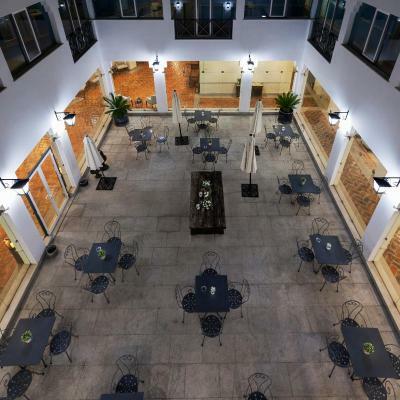 Excellent location: Quiet, but only 5 minutes walking distance to Giraldo Square, one of the main squares of the city center. Narrow parking entrance and parking spaces. Beautiful property just next to city walls. Excellent location. Rooms very spacious with a balcony facing the garden. We didn't have a chance to try out the pool (opening April 1). Rooms above made noise from a great deal of furniture movements. We were up graded to a suite because of a water leakage in our original room... so it was amazing... I suggest a suite .... two balconies sitting area... luxurious! The original room was just okay...the breakfast was wonderful. no wifi in our bedroom . staff didn't tell us about the carnival parade which was amazing. breakfast menu. quails eggs and local cheese. also home made cake. good coffee. Very nice hotel with only a short walk to the town centre. Staffs are nice and the room is well equipped with amenities. The view of our room is exceptional. 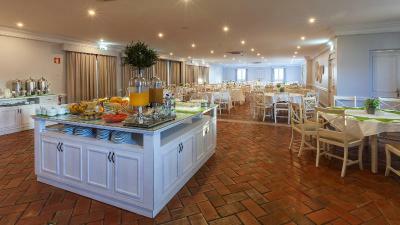 Good breakfast, with variety Room was well decorated and clean Excellent Location: walking distance to centre and all main attractions as well as best restaurants in Evora.